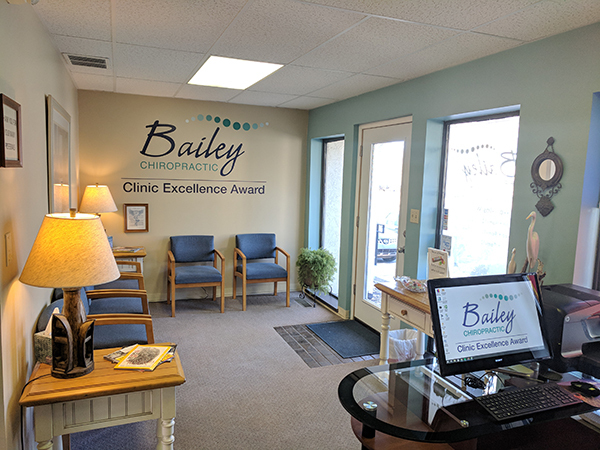 Discover why Dr. Bailey won the Clinic Excellence Award. This is a practice built on honesty and integrity. There are no gimmicks or long and expensive treatment programs. X-rays are not required before treatment and treatments are given with maximum effectiveness so you don't have to keep coming back all the time. This is an acute/maintenance care practice that allows the patient to come in and get a treatment when they feel the need. This kind of personal treatment is new to many in this area so we invite you to come in and experience the advantages of this type of practice for yourself. Treatments are only $35.00 and there are never any hidden charges or fees. We are a walk in practice here at Bailey Chiropractic so there is no need to schedule an appointment. We treat on a first come first serve basis so feel free to stop on by any time during regular business hours. We believe in offering simple, honest, straight forward, quality chiropractic care at an affordable price.